is located in Korolov city near RSC Energia. 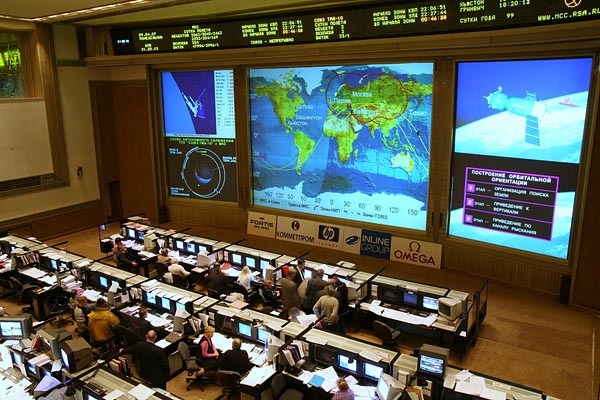 TsUP, the Mission Control Center of the Russian Federal Space Agency, has three control rooms directly involved in ISS operations. Main control room has about 30 working stations. Two other rooms are for ISS' Zarya module and scientific equipment. 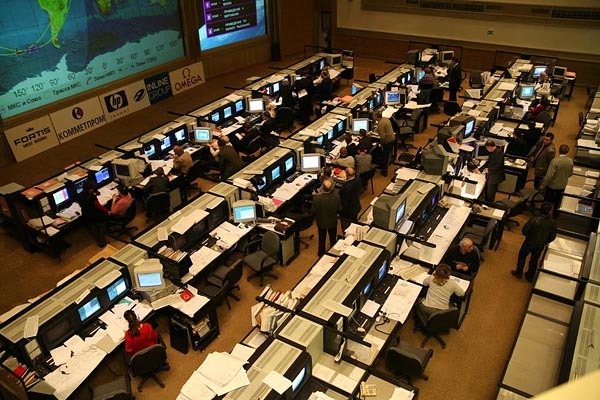 TsUP is integrated with a world network of mission-control centers. April 9, 2007. S.P. Korolev RSC Energia, Korolev, Moscow region. Russian manned spacecraft Soyuz TMA-10 has docked with the International Space Station (ISS). The spacecraft made its approach to ISS after two days of free flight in low Earth orbit. The docking was performed in automatic mode. The initial contact between the docking port on the space station Functional and Cargo Module Zarya and the docking unit of the spacecraft occurred at 23:10 Moscow Time. At that time the ISS was within coverage of the Russian ground tracking stations. Final flight operations during rendezvous and docking of the spacecraft and the space station were performed under supervision of the RSC Energia President and General Designer N.N. 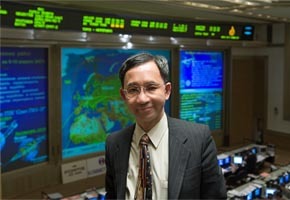 Sevastiyanov, who was working in the Mission Control Center near Moscow (MCC-M). After a pressure integrity check of Soyuz TMA-10 compartments, a check of the docking unit pressure integrity and equalizing the pressure, the hatches between the space station and the spacecraft were opened. The spacecraft crew transferred to the Russian segment of the space station. A joint international crew is now working on-board the space station. 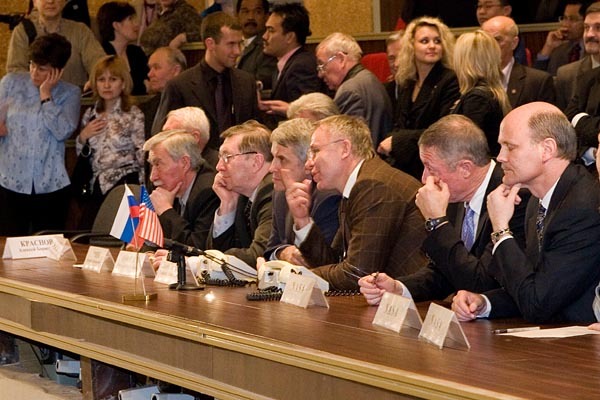 It consists of Russian cosmonauts – S.P. Korolev RSC Energia test-cosmonauts Mikhail Tyurin (Soyuz TMA-9 commander, ISS-14 flight engineer) and Fyodor Yurchikhin (Soyuz TMA-10 flight engineer and ISS-15 commander), Gagarin Cosmonaut Training Center test-cosmonaut Oleg Kotov (Soyuz TMA-10 commander and ISS-15 flight engineer) – as well as NASA astronauts Michael Lopez-Alegria (Soyuz TMA-9 flight engineer and ISS-14 commander) and Sunita Williams (ISS-14/15 flight engineer), and a space flight participant, US citizen Charles Simonyi (Taxi Mission 12). 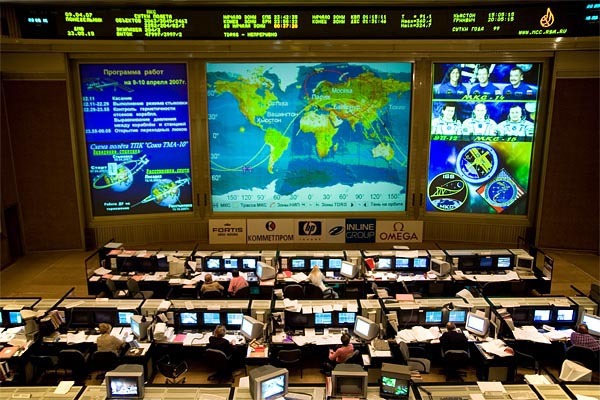 On-board systems of the ISS and of the Soyuz TMA-9 and TMA-10 transportation systems operate normally. 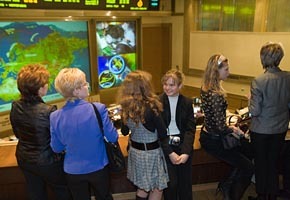 During the first TV communications session between MCC-M and the space station, managers of organizations and companies from Russia and abroad, as well as cosmonauts’ families and friends congratulated them on the successful docking. RSC Energia is the prime organization for developing and operation of the ISS Russian Segment and its modules Zvezda and Pirs, as well as spacecraft Soyuz TMA and Progress M/M1. The missions of the ISS Russian Segment and of the spacecraft are controlled by the Lead Operations Control Team (LOCT) of MCC-M. The Technical Manager for flight tests of manned space systems is N.N. Sevastiyanov. The Flight Director is the S.P. Korolev RSC Energia vice president, deputy general designer, cosmonaut pilot V.A. Soloviev. At the present moment, the ISS Russian Segment consists of the cargo module Zarya, Service Module Zvezda, docking compartment/module Pirs, manned spacecraft Soyuz TMA-9 and Soyuz TMA-10, logistics vehicle Progress M-59. This page is prepared by NPO InterCoS with special courtesy of JAMSS and RSC Energia.